With the top-four race tightening up, it was of vital importance that Manchester United picked up three points against West Ham United at Old Trafford on Saturday, a fixture squeezed between the Champions League quarter-final meetings with Barcelona. And United got the win they craved, edging out the Hammers 2-1 thanks to a brace from Paul Pogba. Ole Gunnar Solskjaer’s men made hard work of it, though, requiring two penalties to see off West Ham and pick up just a second victory in their last six games. Here are the five things we learned from the game. Linked with a big-money move to United in the summer, West Ham and England midfielder Declan Rice was the Hammers player home fans inside Old Trafford were running the rule over on Saturday, gauging the youngster’s suitability for the rumoured switch. And they will have been impressed with what they saw. Up against Pogba, Fred and Juan Mata in midfield, Rice more than held his own. The 20-year-old defensive midfielder, who is also reportedly a target for Manchester City, made four tackles, one interception and one clearance, as well as completing an impressive 87.7 per cent of his 57 passes. 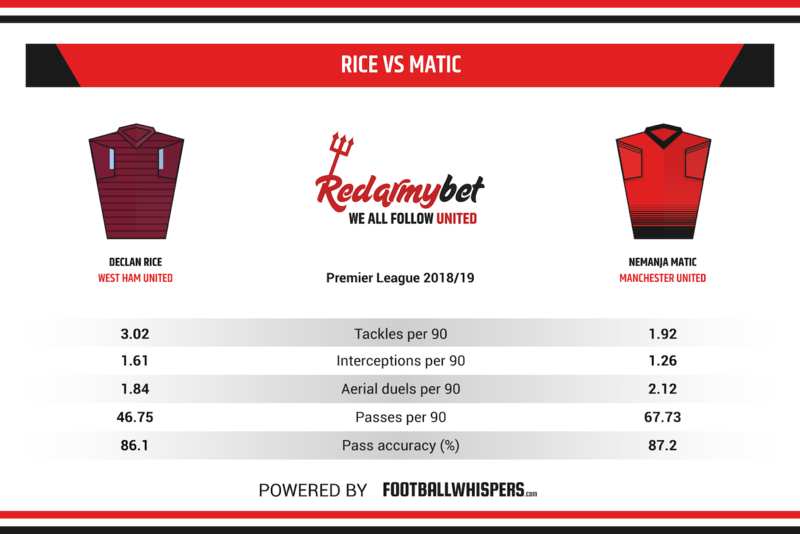 With Ander Herrera likely to be leaving for Paris Saint-Germain and Nemanja Matic slowing down, Rice would be a welcome addition to the United midfield. One of the most noticeable differences in United following Solskjaer’s initial caretaker appointment in December was how the players seemed to be reinvigorated by the Norwegian, pressing with renewed intensity and flooding forward in attack like the great United sides of old. But the Red Devils have slowed of late, with gaps opening up through midfield and the opposition increasingly able to find time and space on the ball that wasn’t there just a few weeks ago. According to The Independent, Solskjaer has concerns over his players’ fitness and will look to make changes to the club’s conditioning staff this summer in an effort to sharpen up his charges for a long, intense campaign next term. That would be a wise move, as United have looked a little sluggish lately. Much like United in general, Posgba began life under Solskjaer superbly before a recent levelling off in his performances. The Frenchman put in a controlled, disciplined performance in the 1-0 defeat to Barcelona in midweek, recalling the type of display he produced throughout last summer’s World Cup with France. But his failure to score against the Catalan giants took his goalless streak to eight games, having scored nine times in Solskjaer’s first 12 matches in charge. Pogba ended that drought on Saturday, twice converting from the penalty spot to take his tally for the season to an already-career-high 13 league goals – in addition to nine assists. The 26-year-old seems to have found his shooting boots just in time for Tuesday’s trip to the Camp Nou. Although United, on the whole, have looked rather sluggish in recent weeks, Brazilian midfielder Fred has quietly put in some of the finest performances of his fledgling Old Trafford career. Signed from Shakhtar Donetsk for £47million last summer – a deal which made him the fourth-most-expensive player in the club’s history – Fred looked for the first two thirds of the season like a misfit and potentially the latest in an alarmingly long line of recent transfer-market mishaps for United. 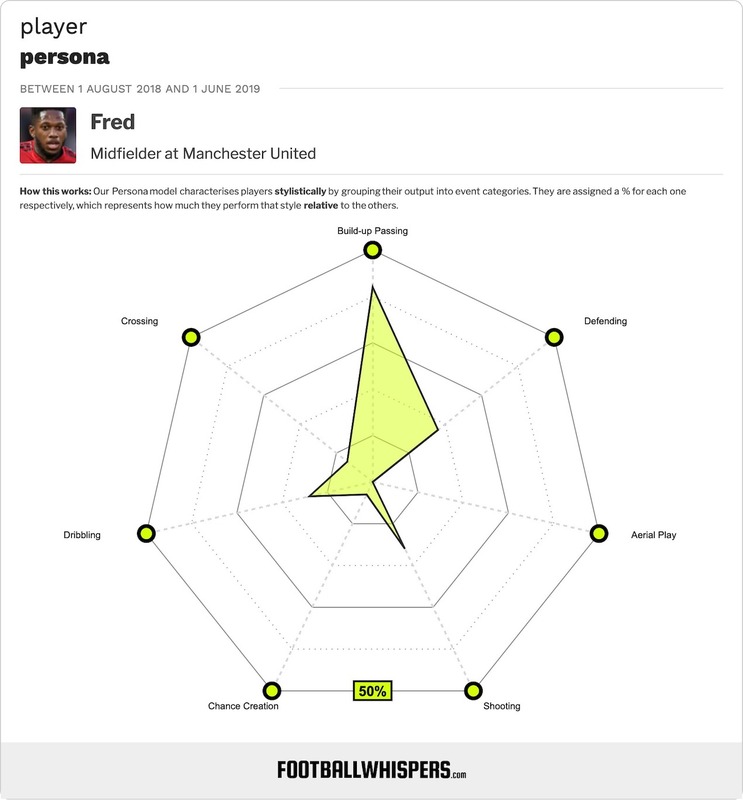 But, with the aforementioned doubts around Herrera’s future, Fred’s recent form, which continued with a steady, stable display against West Ham, has begun to position him as a key player at Old Trafford for next season and beyond. As welcome as Fred’s form has been, though, the nature of the narrow West Ham victory on Saturday only served to highlight the fact that United are still a handful of top-class players short of contending for major honours. It is believed Solskjaer will be handed upwards of £200million to bolster his options this summer, with additions at right-back, centre-back, central midfield and right wing all earmarked. Such squad surgery is looking increasingly necessary.